One problem with our complicated lives these days is that many of us never find time to spend alone, in peace, without being bombarded with noise and information. There’s no time for solitude and quiet contemplation, and as a result, we have stress and anxiety and depression and repression. Find time each day to be alone, for your mental health, by stealing pockets of time from other areas of your life. This time will pay off for you in the long run. You will become sane, and with the ability to reflect on your life, on what you’ve gone through in the last 24 hours, in the last week, in the last year, you can slowly improve it or learn to be happy with it. Finding time for solitude is extremely important, and yet it’s an area that is often neglected. I don’t mean time alone, where you’re watching TV or surfing the Internet or reading or watching the news. There’s nothing wrong with those activities, but they aren’t conducive to contemplation, to getting to know yourself, to reflecting on what you’ve been going through, for thinking about your dreams. Learning to spend time in quiet solitude is also very difficult. It’s probably best if done in small doses at first, so if you only do it for 20 or 30 minutes at first, that’s OK. Learn to fight the urge to turn the TV on or turn your computer on or play music or read. It’s hard, but it’s worth it. What follows are just some ideas for recapturing about an hour a day of extra time, from other sources of time, so that you can have time for solitude. These are temporary fixes … ways for you to find that time for 30 days, and in those 30 days, you can find other ways to simplify your life so that you can have this time permanently. Use those 30 days, in part, for thinking about the complications in your life, about things you might want to eliminate to free up more time for important things, like your dreams, your loved ones, your passion, and solitude. Television. I’m not on a crusade against television, and I’m not saying you should get rid of it. I watch TV. And though I’ve eliminated cable TV from my life, I’m not saying you should. This is a temporary fix, remember … so try to reduce your television consumption by 60 minutes, just for 30 days. You may find that you enjoy reduced TV consumption, but every person is different. Internet. Again, I’m not saying you should stop using the Internet. Just reduce your consumption of the Internet by 60 minutes for 30 days. Be sure to use those 60 minutes for solitude and contemplation. Reducing your Internet use will force you to use the time you do use the Internet more productively … you can still do the things you love to do, but you have to use them in a more focused way. Wake earlier. I’ve talked about the benefits of rising early, and how to do it in the past, and one of its best benefits, for me, is the quiet time I have alone. I like to use this time for writing, for exercise, and for contemplation. Try waking 1 hour earlier, just for 30 days. Or if that doesn’t work for you, stay up an hour later. Either way works. Email. If email consumes a huge part of your life, try going on an email diet. Only allow yourself to do email once a day, for 30 minutes. See if you can stop yourself from doing email at all other times. Remember, this is just for 30 days … after that, if you want to go back to doing email all day long, you can. Stop shopping. Again, it’s only temporary! But if you’re also trying to reduce debt or save money, this is a great permanent solution. But just try it for 30 days. Eliminate all shopping except essential grocery shopping. Everything else goes on a 30-day list. Leave work early. If your work allows it, see if you can leave work earlier. If you have a smart boss, the only thing that will matter is if you’re getting your work done — not how long you’re in the office. So really focus on getting the essential work done within the time you have, and leave an hour earlier. Go to work late. The flip side of the above suggestion. Again, this is if your work allows it. Take a longer lunch. Sometimes it’s easier to squeeze out extra time for your lunch break than it is to come in early or to leave early. If you can take 90 minutes for lunch, use the first 30 for eating (pack a lunch if possible) and the other 60 for solitude. Stop digesting news. Are you a news junky? I’ve written before about how I haven’t watched TV news or read a newspaper or even Internet news sites for a couple of years. It’s possible to go without it. See if you can stop reading newspapers, or watching TV news, for just 30 days. After that, you can go back. Don’t do anything after work. If you make social commitments after work, or business meetings, or whatever, stop making these plans for 30 days and use this time for solitude. Skip civic commitments. Do you volunteer or serve in an organization or are you a member of some group? Skip the meetings and other functions for a month. The organization won’t fall apart without you … even if you’re president, you can temporarily hand the reins over to your vice president. Minimalize laundry. Do you do a load of laundry several times a week, or even every day? That’s an hour or two each time. Instead, go to a laundry mat and do your laundry all in one shot — that’ll take about two hours. You can easily save 1-3 hours this way. Minimalize housework/yardwork. Do these chores take up a large part of your day? See if you can minimalize this, just for a month. Relax your standards a little. Or do a speed-cleaning stint once a week for two hours, and don’t clean the rest of the week. For yardwork, hire a teen-ager to do it for a month. Cut out non-essential reading. Cut out magazine reading and most book reading (unless it’s essential) to give you some extra time. This will also include cutting out newspaper and Internet reading, if you aren’t implementing the tips above. Minimalize recreation. Partying, drinking, playing sports, playing video games … however you spend your free time, see if you can cut into that time. Remember to use any time you free up for solitude and contemplation, not extra TV time. 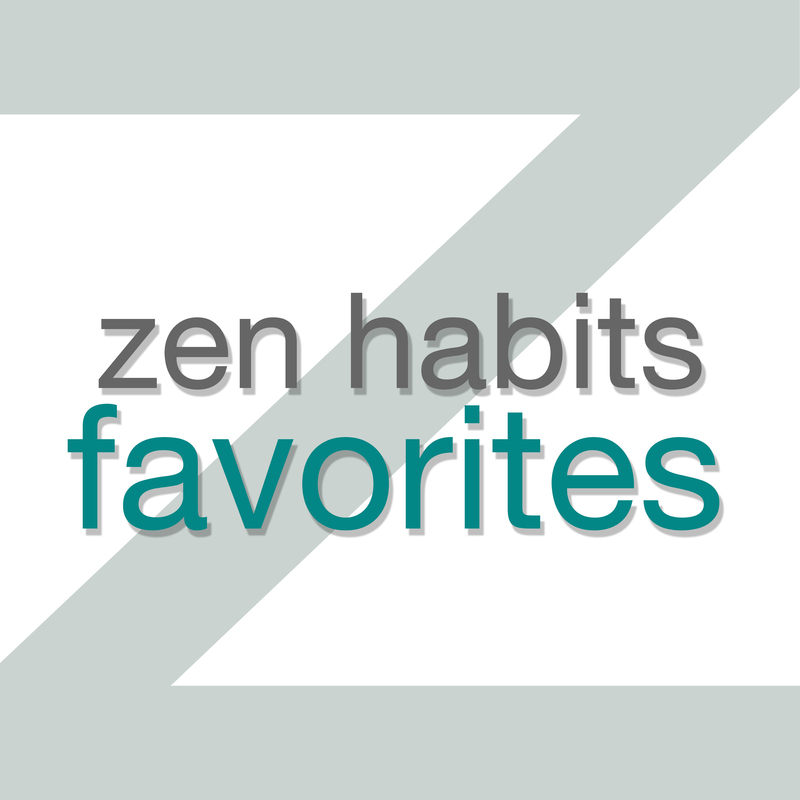 15 Ways to Create an Hour a Day of Extra Time … for Solitude was originally posted on Zen Habits on 6/21/07.